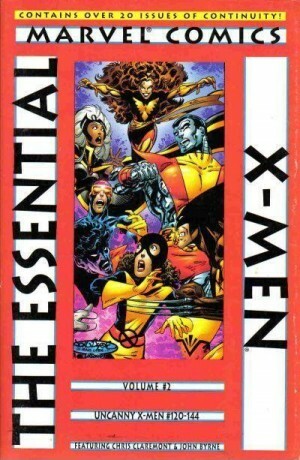 With the stories reprinted in this bumper black and white collection the X-Men moved from a cult comic among a select number of fans to mainstream success and the verge of spin-offs. 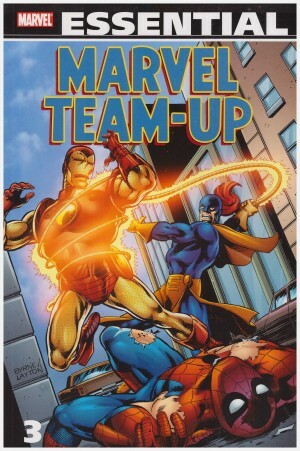 The storyline that achieved it was the ambitious ‘Dark Phoenix Saga’, here presented in its entirety rather than being split over two volumes as in the Marvel Masterworks series or the Omnibus reprintings. In keeping with his policy of empowering superheroines, Chris Claremont’s version of Jean Grey bonded with cosmic entity known as the Phoenix. She’d instinctively set mental inhibitors to limit power she was unable to cope with, but when an old enemy begins tampering with those blocks they loose an uncontrollable and vengeful force. First setting about her team-mates, Phoenix then rampages through the galaxy leading to a memorably tragic conclusion. Claremont with artist and co-plotter John Byrne begin creating more characters to pit against the X-Men with this volume. 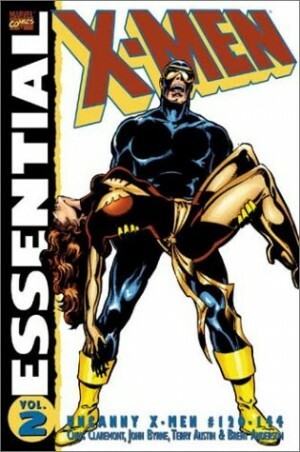 Alpha Flight, the Hellfire Club (including Emma Frost) and the Brood would have a lasting appeal, as would Kitty Pryde, designed to re-introduce the concept of the X-Men as teenagers on a learning curve. Energy vampire Proteus and the Dazzler have maintained a more selective appeal, while Arcade and his Murderworld, a Claremont and Byrne creation from elsewhere, brings to mind nothing so much as the ludicrously camp 1960s Batman TV show. Like that, though, his specifically constructed funfair of death retains a nagging appeal. The other greatly celebrated story here is ‘Days of Future Past’. 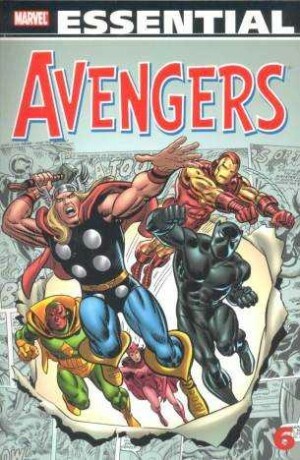 So often revisited and re-explored, it’s surprising to be reminded that the original story was a mere two chapters. It’s compact and compelling with the X-Men remaining alive in a grim future desperately dispatching one of their own to the then present day in order to tamper with significant events that would result in a brighter variant. 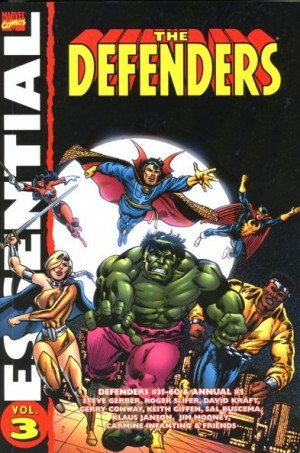 Byrne supplies his graphic dynamism to almost all the content, but there’s also the chance to see George Pérez apply his detailed bejewelling to a story, the style John Romita Jr began with in the 1980s, and Brent Anderson, whose attractive style has varied little since then. None of them have the best material to illustrate, perhaps proof that Claremont required Byrne to bring out the best in him at that stage of his career. 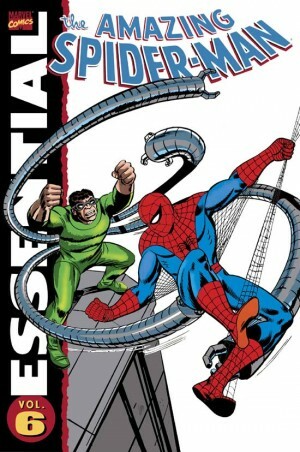 There’s also a decent case to be made that as inked by Terry Austin, the Byrne artwork actually looks better in black and white than when paired with the somewhat dated colour schemes of the 1970s. Claremont begins to move towards the prolix and overly expository scripting that was to the detriment of later work, but here it’s limited and relatively unobtrusive, and certainly far outweighed by the page-turning plots. This is a real value for money collection of top notch 1970s material. It can also be found spread across Marvel Masterworks: Uncanny X-Men volumes 4-6, while The Dark Phoenix Saga is also collected indivdually.